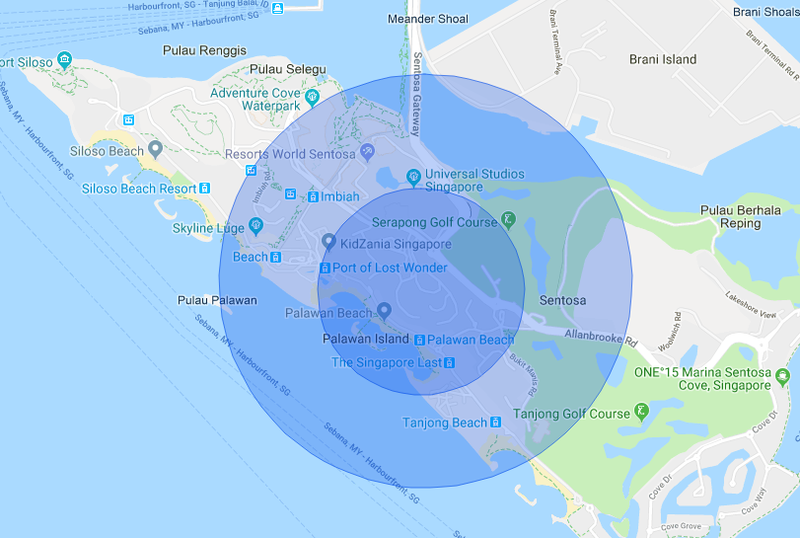 The Singapore government had announced a security zone at Trump’s hotel from June 10-14, and he arrived on the evening of the 10th, but he certainly didn’t depart on the 14th or 15th. They just held a few hours of meetings, signed a meaningless letter, then got out of Dodge on the 12th. Now we watch to make sure neither leader becomes ill, and we wait for them to schedule the fallback scenario. …It is the Illuminati hand sign for “I have a mangina.” Maybe that’s why he ran off early. Now we turn our attention to what’s happening in Yemen, Northern Israel, and Austria. 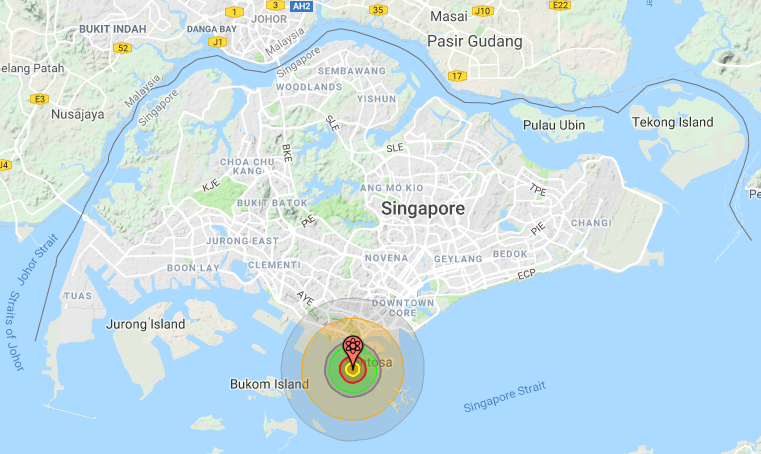 Given that the estimated yield of North Korea’s most recent nuclear test was 100 kilotons – 300 kilotons, such an underwater nuclear threat need only surface and detonate within 1-1.5 km of the hotel to obliterate it with its air blast. And if it surfaces within 500-780 meters, it can consume the hotel in its fireball. As you can see, a sub or swimmer delivery vehicle has plenty of room to sneak in near the coast to do its business. As for the other two ferry lanes next to Sebana’s lane, they are from Nongsapura Ferry Terminal and Batam Centre Ferry Terminal, both in Indonesia. So the nuke could be loaded at those two places as well. And the fourth ferry lane that lies outside of the 100 kiloton effective radius is from Harbour Bay, Indonesia. A nuke could be loaded there, but it would have to have a yield of near 200 kilotons or higher. Since Trump has been cast as the precursor messiah in this phase of the globalist prophecy fulfillment show, they want to portray him as a man of peace. So to drive that point home, the fake assassination will most likely take place at the moment a Korean peace agreement is either announced or signed. 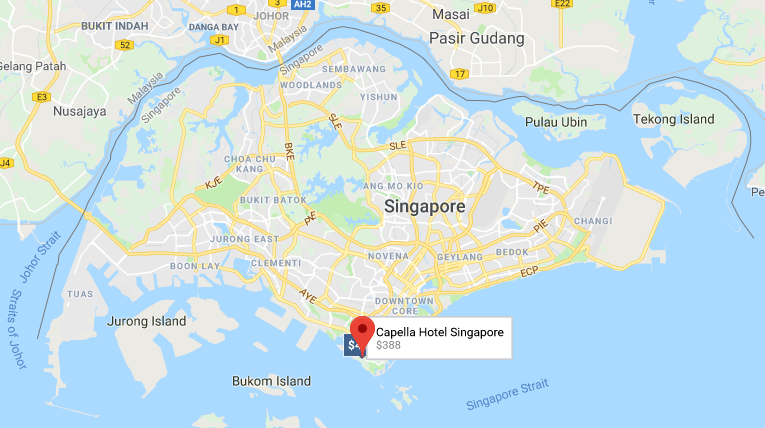 “Of all of Singapore’s big hotels, only one shows all its rooms and restaurants are blocked out for the week surrounding June 12, when U.S. President Donald Trump and North Korean leader Kim Jong Un are due to meet in the city. If the summit planners were serious about security, they’d hold the meeting at the hotel where Trump will be staying, the Shangri-La. It is far enough from the shore to make a sail-up nuclear attack impractical. But their choice of venue isn’t really about security; it’s about enabling a false-flag attack to advance the globalist Event script. And although the first article seems to imply that it’s OK if Xi doesn’t fly in for the big announcement, what are the odds that Trump, Moon, and Kim will offend the Chinese by not inviting him? Also in the June 1-3 notes, I brought up a scenario in which ISIS loads a nuke provided to them by North Korean hardliners onto a ferry that passes close to the summit site, then detonates it to assassinate the gathered leaders with the nuclear air blast. After taking some time to think about it further, I’ve gotten the feeling that this is the exact scenario the globalists have planned, except the ferry part is optional. They could also use a ship, boat or submersible. Should “ISIS” destroy the summit using a “North Korean” nuke, news will soon circulate that the North Korean hardliners provided them with more than one, and this will be used as a pretext for security crackdowns in every nation that supposedly has ISIS terror cells in it (which is pretty much every country in the world). Newly installed President Pence will then have the power to completely lock down any American city he wants at any time he wants, citing “intelligence reports” or ISIS threats to set off a nuke in that city. He will also vow that “we will not live in fear” as he continues to stoke the fear and leads us to war. So if the globalists proceed with this scenario, we’ll get exactly what I’ve predicted in past entries: an initial nuclear scare that will lead to months of fear and make the big nuclear scare in September all the more real and all the more terrifying (for the sleepers). 1) The globalists’ mainstream media narrative, which is aimed at the sleepers. It will have them seeing what happens as being the result of North Korean hardliners teaming up with ISIS/Al Qaeda terrorists to take down ‘Merica. 2) The globalists’ controlled alt-media narrative, which is aimed at people who are awakening. It will have them seeing what happens as being the result of the “evil Deep State” / “evil Western globalists” making a last-gasp attempt at saving their agenda from defeat at the hands of the “good guys” (Trump, Putin, Xi, etc). 3) The real narrative available on this blog, which reveals that might happen in Singapore is part of a globalist “good guys vs. bad guys” stage play that is aimed at getting the public to accept the real New World Order (and what lies beyond it). So as I go through each motivation, I’ll identify which narrative it belongs to: main narrative, alt narrative or real narrative. Motivation 1 – It will rid the “evil Deep State” of 4 supposed opponents (Trump, Xi, Moon, and Kim). This is part of the alt narrative. 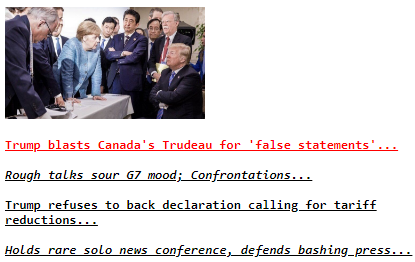 In reality, those four are globalist minions, just like the “evil Deep State” guys they’re supposedly fighting. The conflict between them is artificial and staged for public consumption. Motivation 2 – It will prevent the Trump-Putin summit from ever occurring. This is part of the alt narrative. In reality, Trump, Putin, and the “evil Deep State” guys are all globalist actors reading from the same script. 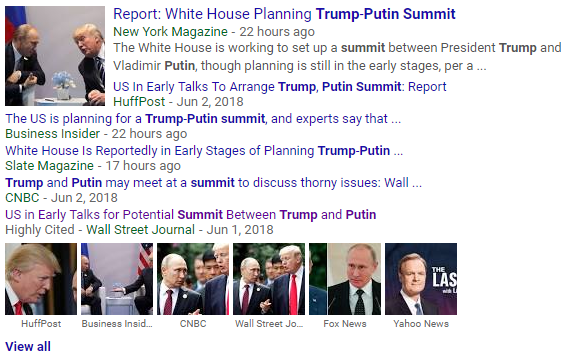 But according to the alt narrative (which supports the script), Trump and Putin are “good guys” who may join forces at their summit, so the “bad guys” must stop at nothing to keep them apart. Motivation 3 – It will enable months of nuclear terror-mongering and a police state lockdown. This is part of the alt and real narratives. The controlled alt-media guys will tell you that the “evil Deep State” controls ISIS/Al Qaeda, so they’re the ones who really conducted the nuclear assassination, and they did it so they could take dictatorial control over the West and force their “unilateral New World Order” into being. In reality, though, the assassination is scripted by the globalists to be the transition point into the “Darkness before the Dawn” phase of their NWO transition plan. You can read more about the transition plan further down this page. Clearly, the globalists are using ISIS as the catalyst to get World War 3 going, so it makes a lot of sense that ISIS activity will peak as we head into the outbreak of full-scale hostilities this September. If you want a war in September, a “Summer of Terror” will do quite nicely to get it started. 1) It will create an atmosphere of tension and fear throughout the nations that experience it. They want to generate maximum dread as they go forward into the war; this will make the solution they offer after the war look enormously appealing to the populace. 3) It will allow the Western governments to selectively lock down the public whenever they wish. Although they’ll allow many demonstrations to go forward (to create the public appearance of popular unrest), they will disperse demonstrations they don’t like by dispatching a terror squad to bomb or shoot up the demonstrators. As the banksters begin their final looting of the world’s economies through bank bail-ins and asset seizures, ISIS terror will be the knife they hold to the public’s throat to prevent us from uncontrollably rising up. So in this year’s script, the Singapore Summit could be used to kick off the Summer of Terror, and it will be intensified once Erdogan “unleashes the hounds” on the West. Motivation 4 – It will stop a US withdrawal from Syria and allow a direct war to depose Assad. Motivation 5 – It will allow the “Satanists” to conspire with Turkey to stage a confrontation that will set off a massive Muslim migrant invasion of Christendom. Motivation 6 – It will stop a peaceful nuclear resolution and reunification in Korea, thus retaining US influence there and allowing US forces to remain on the same landmass as China. Motivation 7 – It will prevent the “Western globalists’ free trade system” from collapsing due to tariff wars. Motivation 8 – It will crash the markets and allow the final bank bail-ins and wealth confiscations to take place. Motivation 9 – It will allow the final confrontation with Russia to go forward. Motivation 10 – It will enable US involvement in cutting off the most important port available to the rebels (and civilians) in Yemen. Time permitting, I’ll add more details to Motivations 4-10 before the big day. By discreetly working in a 9/11 reference to the opening of the summit, they’re connecting it to the idea of a terrorist sneak attack and of an event that leads to a security crackdown. The first 9/11 resulted in the Patriot Act and the Homeland Security department; this next 9/11 is meant to bring in the full police state (for a few months). It hints at the “Satanic Western globalists” threatening Trump for standing in the way of their “evil, unipolar New World Order.” And “no leader is eternal” is exactly what you’d expect the “evil globalists” to say before they assassinate someone. All these little hints have me wondering if they’ll proceed with their plan this time despite being exposed, or if I’m missing something. North Korean bioweapons perhaps? I’ll have to add them into the mix before Tuesday. >>> He [French finance chief Bruno Le Maire] added trade wars “fuel populism and isolationism” at a time when Europe has been shaken to its core by anti-establishment parties who “feed” on these disputes. 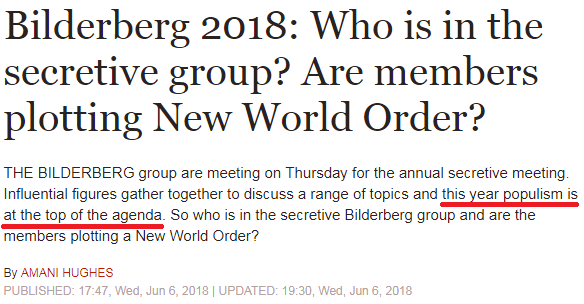 So both the G7 and the Bilderbergers are portraying Trump as an existential threat to the “evil Western-version” New World Order right before he travels to Singapore. And this is meant to establish the “evil Western globalists” as an existential threat to Trump right before the assassination occurs. As for the scripted reason for Netanyahu providing the nuke to assassinate Trump, it is to prevent Trump from forcing Israel to make painful concessions to the Palestinians. Now that Israel have gotten what they wanted out of him, the recognition of Jerusalem as their capital, he has become expendable – he has nothing to offer them now except the losses imposed by his “peace plan.” I wrote about this motive in depth in [Special Note – 4 May 2018] – Lubavitchers meet in Washington to establish the motive for Trump’s assassination. After clicking the link, you’ll need to scroll down almost halfway to see it. Keep in mind that the whole scenario is part of the phony controlled alt-media narrative. In reality, all this is taking place so the globalists can artificially fulfill religious prophecies. All the players in this drama are reading from a script. >>> The long-awaited watchdog report on the FBI and DOJ’s Hillary Clinton investigation during the 2016 presidential campaign will be released next Thursday, Justice Department Inspector General Michael Horowitz said. Since Singapore time runs 12 hours ahead of Washington time, the Inspector General’s report is scheduled for release after any potential Trump assassination on the 11th-14th. And if Trump gets clipped, you can be sure that the report will be shelved. 72 is the number of names of God, according to Kabbalah. 72 is the number of demons sealed away by King Solomon with The Lesser Key of Solomon. 72 is the number of evil disciples and accomplices of Set who enclosed Osiris in a coffin. 72 is the number of steps on Jacob’s Ladder. 72 is the number of chapters in the oldest known division of the Book of Revelation. By killing him on his 72nd birthday, the globalists would attach a nice occultic flair to the event. President Trump is already en route to Singapore, so let me give a brief preview of the first assassination threat both he and Kim Jong Un will face: a gauntlet of ISIS/Al Qaeda surface-to-air missiles (SAMs) on Indonesian and Malaysian soil and on ships and boats in the waters around Singapore. Singapore is surrounded by Muslim-majority Malaysia to the north and east and by Muslim-majority Indonesia to the south and west, and the press have narrated an ISIS/Al Qaeda presence in both countries. 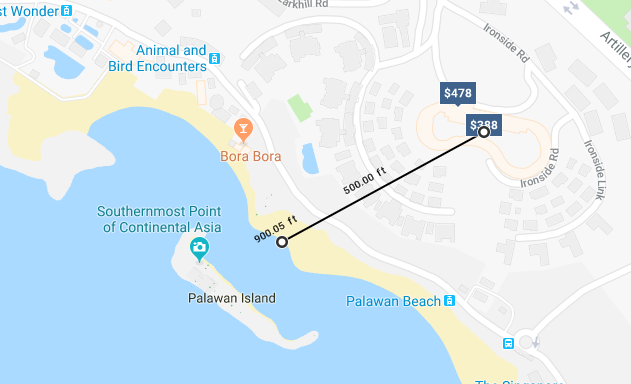 So as the aircraft carrying Trump and Kim descend for a landing on Singapore island, they will be at low altitude over Muslim-majority territory. This will make them vulnerable to both MANPADS and air-to-air missiles modified for ground launch (which the Houthis have used against Saudi aircraft over Yemen). The press have narrated that ISIS/Al Qaeda are in possession of both types of missiles. Although Air Force One is presumably outfitted with the latest-and-greatest missile defense technology, its systems could conceivably be overwhelmed by a large number of missiles fired at the same time. And Kim Jong-Un’s aircraft will have little or no protection. So Kim would be the most likely target of an “assassination by SAM.” Kim also faces the threat of having his airliner sabotaged by hardliners. THEN China will be blamed for conspiring with the North Korean hardliners to conduct the assassination. The mainstream media will say the Chinese government did it to forestall a trade war that could threaten their grip on power over the Chinese people and to maintain the status quo on the Korean Peninsula and keep North Korea as a buffer between their border and US forces. the death or removal of Xi Jinping (who is supposedly a traitor to the Western NWO) and his replacement by “globalist-friendly” Li Keqiang. 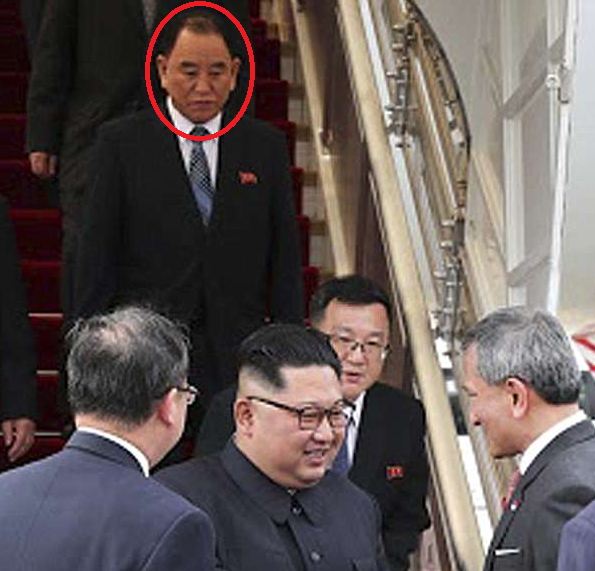 Since Kim Yong-Chol is the hardliner I expected to lead the coup, his presence reduces the likelihood of a nuclear assassination occurring in Singapore, but it doesn’t eliminate it. Notably absent is Kim Jong-Un’s sister, Kim Yo-Jong, who now becomes the leading candidate to stage a coup attempt. Is she really loyal to her brother, or has she been sucking up to him to get close enough to power to make a move at the right time? Trump has now arrived safely in Singapore, over an hour after sunset. So to avoid the ISIS/Al Qaeda surface-to-air missile threat I talked about in the June 9 Note, Kim Jong-Un used two decoy planes and arrived in a Chinese airliner, and Air Force One arrived under cover of darkness, thus making it harder for ground spotters to pick it out from among the airliners circling the city. Note the gist of the article and the timing of its posting, which was no accident. 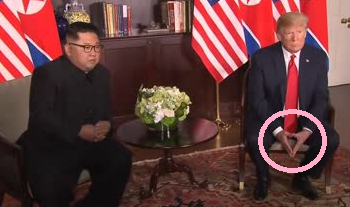 It has the same hint of 9/11 that the time and date of Trump and Kim’s first meeting has. As you may recall from the June 6 Note, their first meeting is scheduled for 9AM on June 12 (Singapore time), which is 9PM on June 11 (Washington time). So they are subtly attaching the concept of the empire striking back to the summit. Both leaders should be safe until the first meeting. That’s when the weapons of mass destruction watch begins. June 12-14 Singapore time (assuming the summit is extended by one or two days), with the most likely moments for the hit being when the leaders first shake hands and when they stand together to announce a peace deal. Since doing it at the moment they announce the peace deal would be the most dramatic, it’s probably the globalists’ favored timing. 1) The shoot-down of either Air Force One or “North Korea One,” supposedly by ISIS/Al Qaeda using MANPADS or air-to-air missiles fired from the ground. This scenario was covered in the June 9 Note. 2) The obliteration of the summit venue by a nuke aboard a boat, ship, or submarine from up to a kilometer and a half away, supposedly by ISIS/Al Qaeda using a nuke provided to them by North Korean hardliners. This scenario was covered June 1-3 Notes. 3) The deployment of an air or surface-borne chemical or biological agent inside one or more of the three hotels hosting the two leaders and the summit, supposedly by ISIS/Al Qaeda using a chem/bio agent provided to them by North Korean hardliners. In this scenario, it will be said that the chem/bio agent was smuggled into the hotel(s) and hidden in some nook or cranny before the pre-summit security operation even began. And they’ll say that the security sweep didn’t find it because the summit preparations were so rushed. As for who brought in the materials and deployed them, it will likely be blamed on one or more Muslim hotel employees who are agents or sympathizers of ISIS/Al Qaeda or who were desperate for money to help their families. It’s possible that this summit, which was arranged by “Deep State” spooks, was set up to draw Trump into close proximity with the North Koreans so he could be infected with a living biological agent. Since the symptoms of such an agent would take days to appear, Trump could drop dead after the summit is over and everyone has gone home. 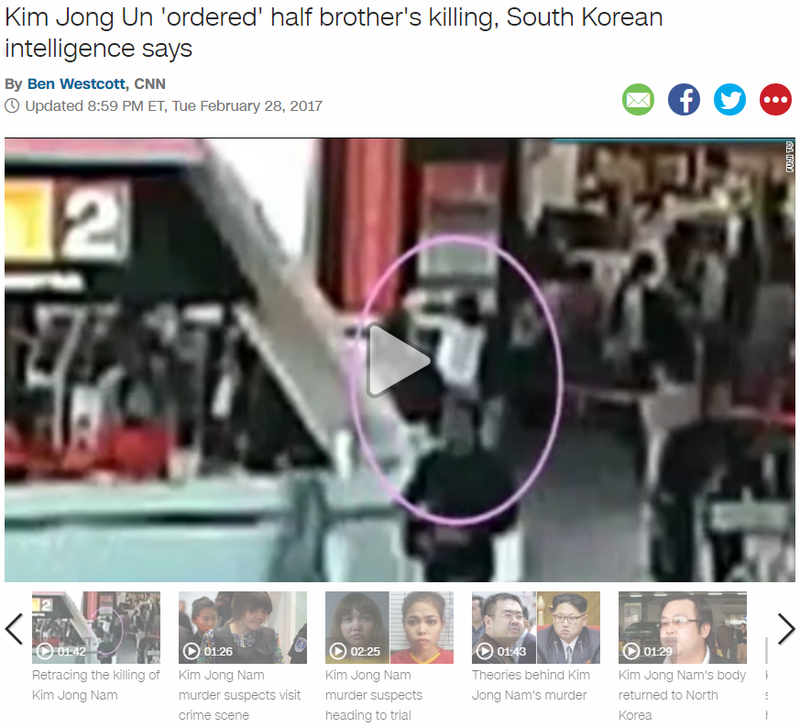 The assassination would be blamed on the North Koreans — perhaps even on Kim Jong-Un himself — at first. But it might later come out that “Deep Staters” in Trump’s own entourage infected him at the summit so they could blame the North Koreans and start the war. The mainstream media will blame North Korean hardliners, ISIS/Al Qaeda, and possibly China. If Kim is the only leader killed, his sister will launch Nuclear 9/11 in retaliation, killing Trump in the process. If Kim, Trump and Moon are killed, we’ll see a Pacific war with the US and South Korea on one side and China and North Korea on the other. If Kim, Trump, Moon and Xi are killed, we’ll see a standoff until the investigation eventually leads to the Israeli Zionists and war in the Middle East (everybody vs. Israel). In Panmunjom, the globalists might employ “North Korean hardliners” to kill all the leaders who show up to sign the peace treaty (Kim, Trump, Xi, and Moon). The killing could come in the form of a nuke that has been planted under Panmunjom via a North Korean tunnel, or in a sudden, massive artillery or rocket barrage. North Korea has lots of artillery dug into the mountains in that area. To read the previous entry, click here: June 11 – 30 is shaping up to be a sh*tstorm (+ other notes). For the latest information, visit the Home Page. This entry was posted in NWO on June 13, 2018 by kenneth.